Heidelberg, October 12, 2018 - From Paris to Berlin, from Barcelona to Helsinki: The dental group Young Innovations is currently present at many trade fairs and offers popular products at a reduced price. The special terms apply for American Eagle®, Young™, Zooby and Microbrush® until the end of November. 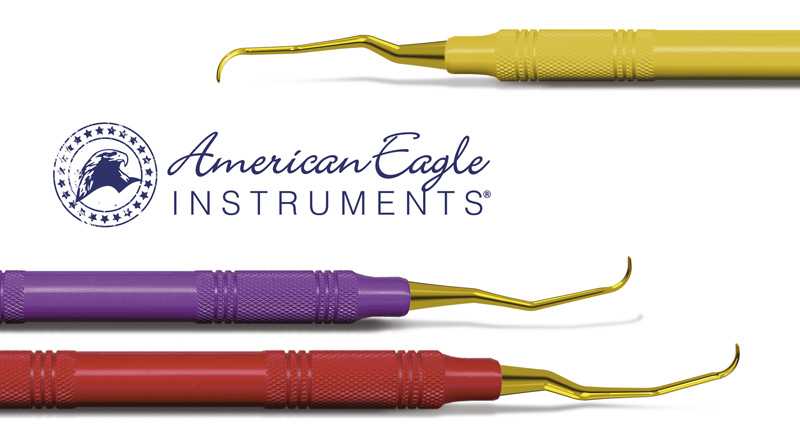 For example, there is a 25 percent discount for equipping a practice with instruments from American Eagle®. Also cheaper than usual are curettes and scalers with XP® technology. The patented process makes work ends extremely durable, time-consuming sharpening is eliminated. The extra-fine instruments of the Pro-Thin series support a minimally invasive therapy, Double Graceys enable a particularly effective procedure. The discount also applies for prophylactic products from Young™. Prophy Cups in all hardnesses, colors and sizes are currently a third cheaper than usual, real bargain are also the low-spray polishing pastes. For professional teeth cleaning in children, there is the brand Zooby®. The colorful disposable prophy angles are decorated with motifs from a like alligator to z like zebra and reduced, just like the staining tablets and the polishing pastes in six popular flavors. Young Innovations is a leading developer, manufacturer and distributor of high-quality dental products. The portfolio includes innovative solutions for prophylaxis, diagnostics, restoration, periodontology, implantology, endodontics and orthodontics and world-renowned brands like Young™, Zooby®, Microbrush® and American Eagle Instruments®. The American corporation has its headquarters in Chicago and its European centre in Heidelberg, Germany. The enterprise was founded in 1900 and is owned by The Jordan Company.